Why does the world need eBooks? Do you remember the last time that you read a book, a magazine article or anything which was substantial? Or do your reading habits revolve around FaceBook updates or Tweets? If you belong to the group of countless people who don’t have the habit of reading regularly, then you are missing out on the many benefits and pleasures that you can derive from reading. How can Books help you? This goes without saying that the more you read, the more you learn which will then become a part of your everyday vocabulary. Books can be a source of extensive vocabulary for you. Being knowledgeable, well-informed, articulate and well-spoken helps to gain confidence and is a great help in one’s professional life as well. Once the vocabulary of a person increases, naturally the writing skills also improve. Exposure to words and expressions translate better when writing and lead to fluidity in the writings. According to studies, reading on a regular basis keeps the brain active and prevents or even slows down the process of Alzheimer’s or dementia. 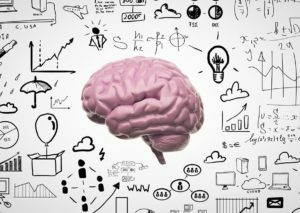 The brain needs to exercise and reading through different means including the ebook reader – Amazon Kindle, provides just that. Reading is also a way to reduce stresses that you might be encountering in your life that comes from work, at home, from your relationships or numerous other issues. Books help in distracting your mind from these everyday tensions and help you to relax. An e-reader, also known as an eBook reader or eBook device is a mobile electronic device which is primarily used for the purpose of reading e-books. 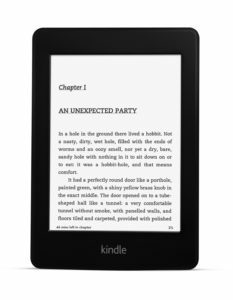 eBook readers come in a variety of screen sizes with various exciting features like an in-built dictionary, note taking, adjustable font size and screen brightness, etc. which makes reading a uniquely interactive experience. Using an eBook reader also gives the reader various options which are similar to reading a hardcover print such as bookmarking of pages, highlighting passages, making notes and the option to save selected texts. Why did eBooks become popular? But in the competition between eBooks and hard print, what are the advantages of eBooks? There are several reasons why eBooks are loved by the masses – mobility, convenience, easy to use, saving space and also saving money and time. With the sizes of portable drives becoming smaller and smaller, carrying an entire library of your favorite books is no longer an impossible task. With it, also comes the convenience of reading any one of the books anytime that you want to read – whether traveling out of town, waiting for your train or just relaxing at home. Reading a book online gives you the option of either keeping it or rejecting it. With a hardcopy, you are bound to retain the book even if it is the worst book that you have ever read and are reluctant to make it a part of your library collection. Hence, eBook reading gives you the opportunity to experiment with various authors and books without the need to worry about keeping it. Now with eBooks, you don’t have to plan ahead of any trip. Just carry your eBook library, browse through it and make your selection from the complete collection that you have been able to carry with you. There are so many times that you just need to refer to a page or two of a book; example a recipe from a cookbook. When there were no eBooks, one had to buy the full hardcopy. Now you just need to print the page and use it. And if the printout gets spoiled in the kitchen you need not care, which would not have been the case if it would have been a hardcopy recipe book! Though eBook software differs, most of them have similar basic features and settings and make it easy to operate and use. Font sizes can be adjusted, and background color can be changed according to need. eBooks allow you to add and then delete bookmarks as you wish, unlike your paper copy which you have to either earmark or markup. You can search the text and jump back-and-forth between the various chapters. Having an e-library online without any doubt saves you the trouble of devoting space at your home to a physical library. Added to this is the fact that you now don’t have to worry about fire-proofing your books. While changing house, you no longer have to worry about the hassles of carrying your books. Your e-library can keep on growing unlimitedly because with disk space becoming a commodity it can safely be presumed that you will never run out of storage space for your library anytime. Purchasing a book from a bookstore involves time while getting an eBook is just a matter of minutes. There are many eBooks which can be read for free or at a lesser cost than the paperback edition. You save on the shipping costs as it is available online. This helps in cost benefits. Nowadays with global consciousness about saving trees and saving on paper, eBooks are the best options for going green; you don’t kill trees and neither are you wasting paper. User-friendly interfaces, unique designs and practical applications in tablets like iPad and Kindle Fire and eBook readers like Nook and Kobo e-reader have attracted many customers introducing to them new ways to enjoy media and their books. Though readers may be using either of the mediums to read, many of them may still be unfamiliar with their complete functions and features. Only these particular features make them different from one another and make it tough for the users to choose when faced with eBook reader vs. tablet option. 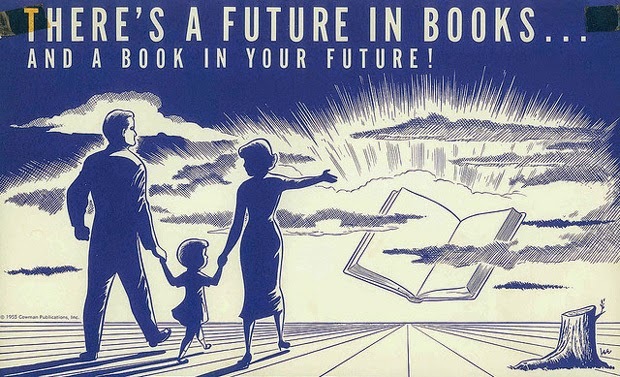 Both the eBook readers and tablet computers came into existence at around the same time. While e-readers allowed avid readers to indulge in their passion without the use of a computer or a laptop, tablet computers had greater functionality and could be operated with a touch screen, detachable keyboard, digital pen or a stylus. E-readers, as the name suggests, facilitates reading of electronic materials and no more. With an e-book in hand, a reader need not sit in front of a computer or laptop screen. All he needs to do is take the device which is no larger or heavier than an average hardbound book, curl up in his favorite seat and start reading. 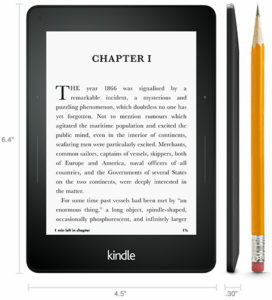 Some additional features like word searches, definitions and a limited number of other features are available with the e-reader. A tablet can do what an e-reader can do and some more. It allows the reader to collect and store e-books with an incorporated app. Users can access books in Apple’s iBooks or Amazon’s Cloud Reader through the internet or download e-books directly to their device. Beyond this tablet has other important features such as allowing users to browse the net, use their emails, play games, share files, compose documents, watch movies, use social media, take photos and much more. Tablets are significant when the reader is looking for highly interactive content. Tablets can render enhanced eBooks, interactive eBooks and it may not be the case with eBook readers. The average size of an e-book reader is about six inches, and it can be easily carried in your pocket or the purse. They are small and light and are portable and hence, allow the readers the ease of moving it around to work, appointment, class or on a shopping spree. Tablets such as an iPad come with a screen which is about nine inches which allow the user access to a bigger screen for enjoying media and multitasking. But tablets are heavier than e-book readers and are also not portable enough to be carried around. Though Kindle Fire may be the same size as an e-book reader, becomes heavier due to data storage and extra processing that they perform. E-readers are available at an affordable price and are handy for those who need to use it only for reading purpose. Tablets are usually priced at the higher end since they offer many more features other than just reading books. After taking into account the pros and cons of both an e-book reader and a tablet, a user should decide if e-book reader is better than tab and accordingly make a choice. Of course, a reader has plenty of options to choose from the many e-book readers that are available out there. 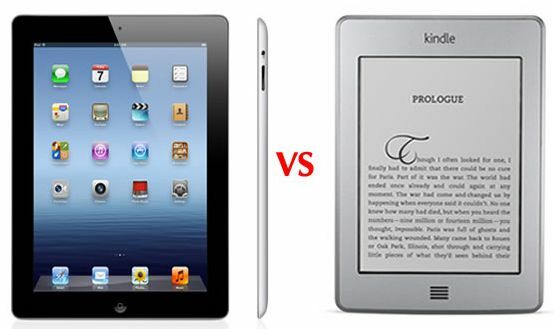 But which e-book reader is the best? Here are some of the popular and more common e-book readers which money can buy. Though expensive, this is one of the best e-book readers available. Amazon Kindle has been excellently designed and even though only 3.4 millimeters in size still has well-placed page buttons. It also comes with a battery cover which has been designed so as to extend the battery life of the device. 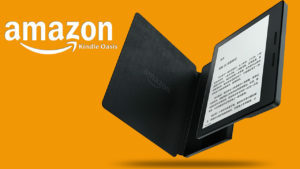 The beautiful high-resolution display and its 4 GB storage similar to Oasis make it an ideal e-reader. Its battery life is up to six weeks on a single charge. However, it does not have page-turn buttons. Kindle Voyage was released in 2014 and has the same features such as 4 GB storage, 300 PPI display, and others. But unlike the Paperwhite which has four LED lights for reading under low-light, Voyage has six. It also has page-turn buttons which might make it a better choice for avid readers. Barnes & Noble’s Nook series of e-book readers are also very popular. It has 300 PPI display, 4 GB storage and can read most of the standard e-books format. 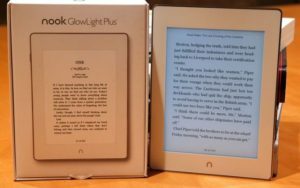 Its main advantage lies in the fact that a GlowLight Plus owner is not tied to Amazon’s e-book library but has the liberty to download e-books from a host of other sites. 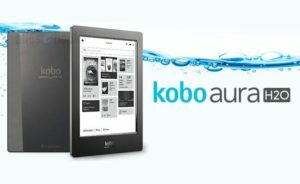 Kobo e-book reader devices are also good and come with a 1 GHz processor, 256 PPI display and 4 GB storage. The one feature which sets it apart from other e-book readers is that it is waterproof as the name suggests. Moreover, it has an excellent battery life of up to two months on a single charge. 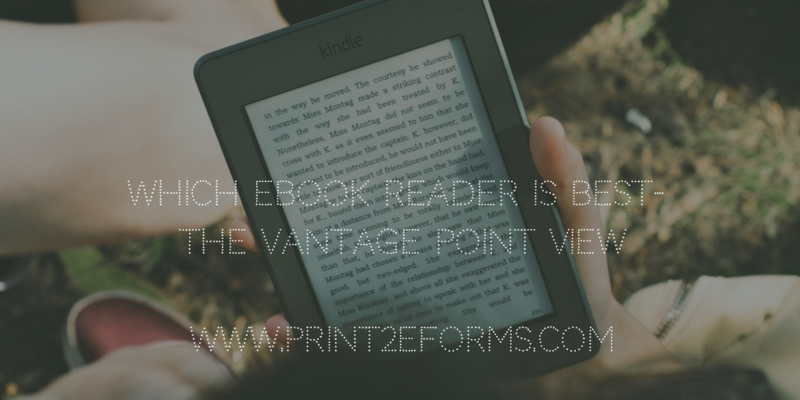 E-book Readers vs. Hard Print – Where is This Battle Leading To? While opting to gift a book to your loved one as a gift, one might be faced with making a choice between the traditional hardbound book or an e-book reader. Each has its pros and cons and choosing one depends on many factors. What are the Differences between ebook and Print book? The most obvious advantage of an e-book reader is its portability which allows you to carry an entire library wherever you are going which is what travelers would prefer. On the other hand, some people love the smell and feel of a book on their hands and gifting an e-book reader to such a person would be a waste. It has been shown that young reluctant readers prefer to read e-books. Boys and girls who have no love for reading shared a strong preference for electronic reading. This can be attributed to the fact that an e-book reader has more in common with all the electronic devices that the young generation is used to nowadays. On the other hand, reading on paper may be better for retention and focus. People, who have poor eyesight or are afflicted with reading disorders such as dyslexia, benefit more from reading e-books, which offer them the option to change the size of text or spacing between the lines providing a better reading. Many book-lovers still prefer the old-fashioned way of reading books and would rather go to a bookstore to buy it than sit in the luxury of their homes and access any book on e-readers. For them, the pleasure that comes out of reading a physical book does not translate equally onto digital media. But then there are others for whom the novelty of doing something new and reading online is attractive; they have accordingly made the changeover to e-book readers and have stuck to them. Future of eBook Readers – Why Own an e-book Reader? – Over the past few years not only what we read but how we read has also changed and drastically. People don’t only read books which come on paper but often opt for e-book readers who offer them the luxury of selecting books or reading them wherever they are. The device can be carried out, and users can access any book that they want. Most of the e-book readers now employ e-paper technology which is better for the eyes, for the battery life and also for reading under direct sunlight. – And as e-reading continues to grow, the percentage of adult e-book readers continues to rise simultaneously and with it the spread of e-book reading devices. With a countless number of e-books ready to be downloaded, one might think that every book which is published is also available in the digital format. But this is not the case. A new bestseller which you are looking for in the digital format may be available only in paperback form. It might even be available only as an e-book if the publisher so wants. There are many e-books which can be read for free or at a lesser cost than the paperback edition. So, a reader would have to compare the cost of the availability of the book when he wants to go for e-book reading. Therefore, it becomes imperative that we need to turn to a professional eBook company to make our eBooks device friendly. Also, a publishing company which understands the requirements of the final output and prepares the material accordingly.